We hold expertise in providing an extensive range of Plastic Pallet. The offered pallet is manufactured using premium quality raw material and sophisticated technology. 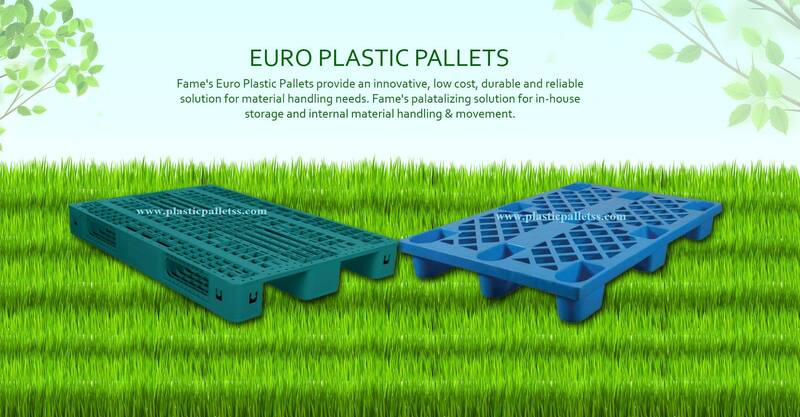 We at fame plastic pallets are one of the leading manufacturer, supplier and exporter of an extensive range of Plastic Pallets.The offered range of pallets consists of Industrial plastic pallets, Four Way Entry Plastic Pallets, Industrial Pallets, Two Way Entry Pallets, Plastic Pallets and many more. These are specially designed and developed using the best quality materials to avail them with high strength and excellent lifting capability. The offered range of products are highly demanded in across the globe because of their wide application in various industrial sectors. Moreover, we provide these pallets at reasonable prices and with many customized solutions.